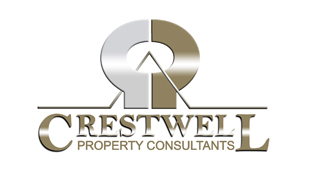 I live overseas and have used Crestwell Property Consultants for over 10 years now. I have always been extremely impressed by the service they give. Everything was dealt with appropriately and if there were any problems then Patricia and her team contacted me straight away to discuss and resolve. Living abroad I was quite nervous about leaving my property with an agent, but I felt comfortable and reassured the whole time that they were doing an excellent job. I receive prompt responses to my queries and they are always very courteous. They have never let me down in keeping me informed without being overbearing on developments with my property. As a landlord who lives outside the country, it is important to be rest assured that my property is in safe hands. I highly recommend them. Thanks to Patricia, I sold my property through Crestwell Property Consultants which was previously managed by them over the past 8 years. Again the service was excellent, prompt and efficient. She correctly advised me on pricing the property using her many years' experience within the estate agency business and even more importantly with her local knowledge. This was an excellent sale as Patricia achieved an even better price than we were expecting. I would strongly recommend this agency to all that have a property for sale within their area. I have been a tenant with Crestwell for the past 4 years and have always found them to be fair and professional. Whenever there has been a maintenance issue they have responded promptly and efficiently. Even when an emergency has occurred outside of working hours I have been able to contact a member of the team directly, they always exercise the highest degree of empathy and competence in dealing with my situation. This personal approach is one that I have found to be very rare in this industry. I have dealt with several agencies in the past who have taken advantage of my inexperience as a student new to renting by adding ridiculous extra fees and taking days to respond to any problems or concerns. They have always been honest, respectable and personable.